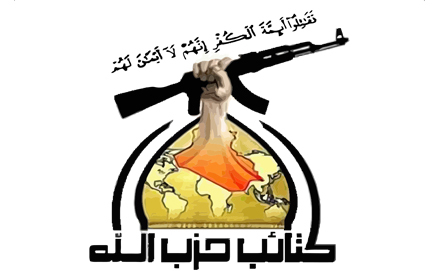 KH is the only Iraqi Shiite militia designated as a terrorist organization by the United States.Babak Dehghanpisheh, “Special Report: The fighters of Iraq who answer to Iran,” Reuters, November 12, 2014, http://www.reuters.com/article/2014/11/12/us-mideast-crisis-militias-specialreport-idUSKCN0IW0ZA20141112. It is also reportedly the “most secretive” and elite of Iraq’s predominantly Shiite militias.Babak Dehghanpisheh, “Special Report: The fighters of Iraq who answer to Iran,” Reuters, November 12, 2014, http://www.reuters.com/article/2014/11/12/us-mideast-crisis-militias-specialreport-idUSKCN0IW0ZA20141112; Terrorist Groups in Syria: Hearing Before the Subcommittee on Terrorism, Nonproliferation, and Trade of the Committee on Foreign Affairs House of Representatives, 113th Cong. 17-24 (2013) (statement of Phillip Smyth, Middle East research analyst, University of Maryland), http://www.gpo.gov/fdsys/pkg/CHRG-113hhrg85643/pdf/CHRG-113hhrg85643.pdf. KH has long-standing ties to Iran’s external military branch, the IRGC-Quds Force, as well as to Iran’s proxy in Lebanon, Hezbollah.Farnaz Fassihi, Jay Solomon, and Sam Dagher, “Iranians Dial Up Presence in Syria,” Wall Street Journal, September 16, 2013, http://www.wsj.com/articles/SB10001424127887323864604579067382861808984. KH has maintained a presence along the Iraqi-Syrian border since Iranian-backed Syrian and Iraqi militias captured the border town of al-Qaim from ISIS in November 2017.Shelly Kittleson, “Iraqi border eyes Iran influence as US plans Syria pullout,” Al-Monitor, December 27, 2018, https://www.al-monitor.com/pulse/originals/2018/12/iraq-anbar-syria-us-isis.html#ixzz5iyXO6Eu3. According to the U.S. government, KH is primarily funded by the government of Iran and, specifically, Iran’s IRGC-Quds Force.“Treasury Designates Individual, Entity Posing Threat to Stability in Iraq,” U.S. Department of the Treasury, July 2, 2009, http://www.treasury.gov/press-center/press-releases/Pages/tg195.aspx; “Country Reports on Terrorism 2016,” U.S. Department of State, July 2017, https://www.state.gov/documents/organization/272488.pdf. In November 2014, wounded U.S. military veterans and family members of deceased U.S. soldiers filed a lawsuit against European banks for processing money from Tehran that bankrolled terrorist attacks in Iraq. According to the lawsuit, KH allegedly received money from Iran to finance terrorist attacks against U.S. soldiers.Alison Frankel, “U.S. Veterans Sue Banks, Claim They Should Pay for Iraq Attacks,” Reuters, November 10, 2014, http://www.reuters.com/article/2014/11/10/us-usa-courts-banking-iran-idUSKCN0IU1Q120141110. Syrians who fight in KH’s Syrian branch also receive their salaries directly from Iran.Aymenn al-Tamimi, “Kata'ib Hezbollah's Syrian Wing: Interview,” Aymenn Jawad Al-Tamimi's Blog, November 17, 2018, http://www.aymennjawad.org/2018/11/kataib-hezbollah-syrian-wing-interview. “I was surprised how young these [KH recruits] were. They didn’t know how to load a magazine or shoot their gun. I asked and they told me they were born in 1997 and 1998 [16- and 17-year-olds].”Maggie Fick, “Underage fighters drawn into Iraq sectarian war,” Reuters, July 11, 2014, http://www.reuters.com/article/2014/07/11/us-iraq-security-teenagers-insight-idUSKBN0FG1UG20140711. “When the [U.S.] occupation gets out of the country with his agents, the Iraqi nation will be unified. Whoever calls for keeping the occupation is linking his destiny with the occupation and has sold himself as cheap, and he should leave the country with his masters.”Associated Press, “Iraqi cleric: Don't attack U.S. troops,” Politico, September 11, 2011, http://www.politico.com/news/stories/0911/63169.html.